One of my favourite crime writers died this week. 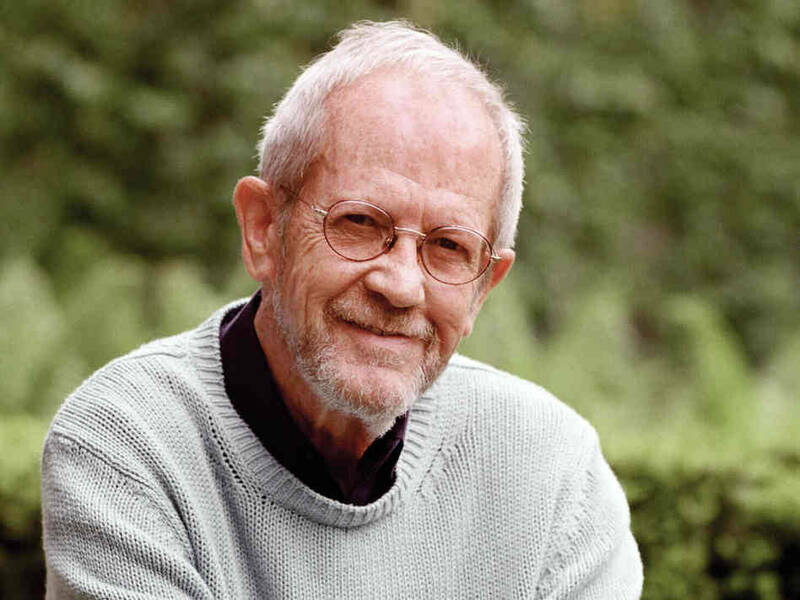 Elmore Leonard died on August 20 after suffering a stroke. He was 87. I am missing him as I browse through some of his books again. They are such a pleasure to read it’s a pity there won’t be more of them. Get Shorty may be his best known book. It was made into a film starring John Travolta, Gene Hackman, Rene Russo and Danny DeVito. But my favourite is Out of Sight. That was also made into a film. I haven’t seen the film directed by Steven Soderbergh and starring George Clooney and Jennifer Lopez, but I love the book. World-class gentleman felon Jack Foley is busting out of Florida’s Glades Prison when he runs head on into a shotgun-wielding Karen Cisco. Suddenly, he’s sharing a cramped car trunk with the sassy disarmed federal marshal and the chemistry is working overtime – and as soon as she escapes, he’s already missing her. Cops-and-robbers can only end in shootouts and arrests, but Out of Sight is also a love story and the ending is unbelievable. I have not read anything like this before. In the sequel, Road Dogs, published in 2009, Foley is back in prison, where he makes friends with the rich Cuban, Cundo Rey. Cundo engineers their early release from prison and the book tells what happens next with Cundo’s wife, the psychic Dawn Navarro, plotting to kill him and get all his wealth. Like Foley, Cundo and Dawn had appeared in earlier Elmore Leonard novels – Cundo in La Brava and Dawn in Riding the Rap. Leonard tended to reuse some of his characters. Harry Arno, for example, appears in Riding the Rap and Pronto. The US marshal Raylan Givens features in Pronto, Riding the Rap, Fire in the Hole and Raylan. Chili Palmer, first seen in Get Shorty, shows up again in Be Cool. Raylan was Leonard’s last published novel, released in 2011, after Djibouti in 2010 and Road Dogs, in 2009. Leonard had an amazing career. His earliest novels were published way back in the 1950s when he was writing Westerns. And then he became the doyen of crime writers. Late afternoon Chloe and Kelly were having cocktails at the Rattlesnake Club, the two seated on the far side of the dining room by themselves: Chloe talking, Kelly listening, Chloe talking, Kelly listening, Chloe trying to get Kelly to help her entertain Anthony Paradiso, an eighty-four-year-old guy who was paying her five thousand a week to be his girlfriend. With a beginning like that, of course, you want to read on. Sadly, there will be no more new Elmore Leonard novels. He was absolutely one-of-a-kind. Just pick up any of his novels – Maximum Bob, Rum Punch, City Primeval, Be Cool – and enjoy. 1. Never open a book with weather. If it’s only to create atmosphere, and not create a character’s reaction to the weather, you don’t want to go on too long. 3. Never use a verb other than “said” to carry dialogue. The line of dialogue belongs to the character; the verb is the writer sticking his nose in. 4. Never use an adverb to modify the verb “said” … he admonished gravely. To use an adverb this way (or almost any way) is a mortal sin. 5. Keep your exclamation marks under control. You are allowed no more than two or three per 100,000 words of prose. 8. Avoid detailed descriptions of characters. In Ernest Hemingway’s Hills Like White Elephants, what do the “American and the girl with him” look like? “She had taken off her hat and put it on the table.” That’s the only reference to a physical description in the story, and yet we see the couple and know them by their tones of voice, with not one adverb in sight.